SAN DIEGO — More than 300 students making up 44 teams and representing eight countries will compete in the 20th International RoboSub Competition to be held July 26–30 at the U.S. Navy’s research pool on Point Loma. Hosted by the Navy’s Space and Naval Warfare Systems Center Pacific (SSC Pacific) in Point Loma, the competition challenges teams to design and build autonomous underwater vehicles capable of completing realistic missions. The event is open to the public and free of charge, 9:00 a.m. to 5:00 p.m., daily. Spectators can watch the teams prepare and launch their vehicles for the competition. The event will feature a large screen display of the underwater action. 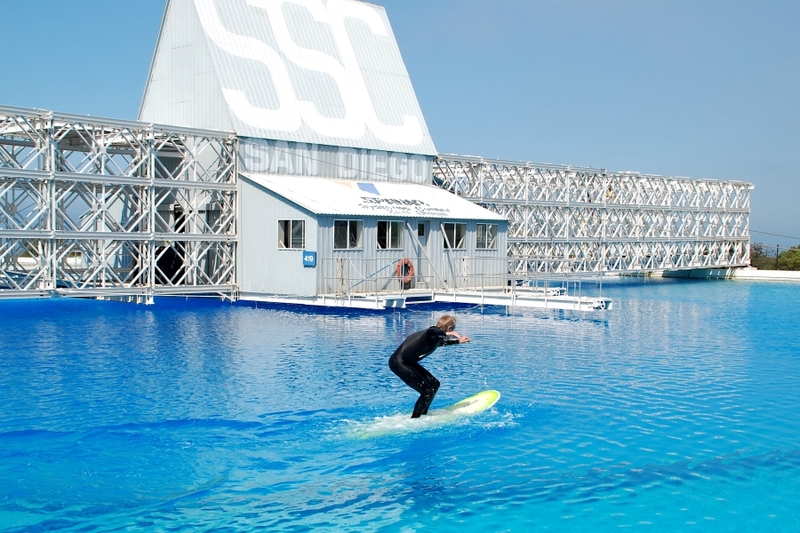 The site of the competition, SSC Pacific’s TRANSDEC pool, is a one-of-a-kind facility built in 1964 that simulates an ocean of water and provides ideal conditions for research. Signs near SSC Pacific (driving South on Catalina Boulevard toward Cabrillo National Monument) on Point Loma will direct visitors to parking. SSC Pacific will provide live coverage of this event on Facebook, Twitter and YouTube. 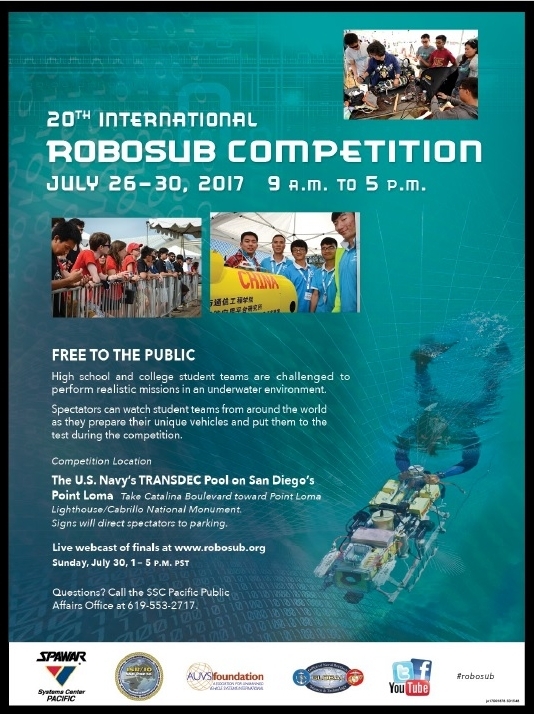 A live webcast of the competition finals can be viewed online at www.RoboSub.org on Sunday, July 30 from 1 to 5 p.m., PST.